I woke up this weekend and decided I was going to chalkboard paint my kitchen pantry door. It was in desperate need of some TLC. I went to Lowe’s and purchased a can of chalkboard paint for $14 and was ready to try my hand at chalkboard paint! 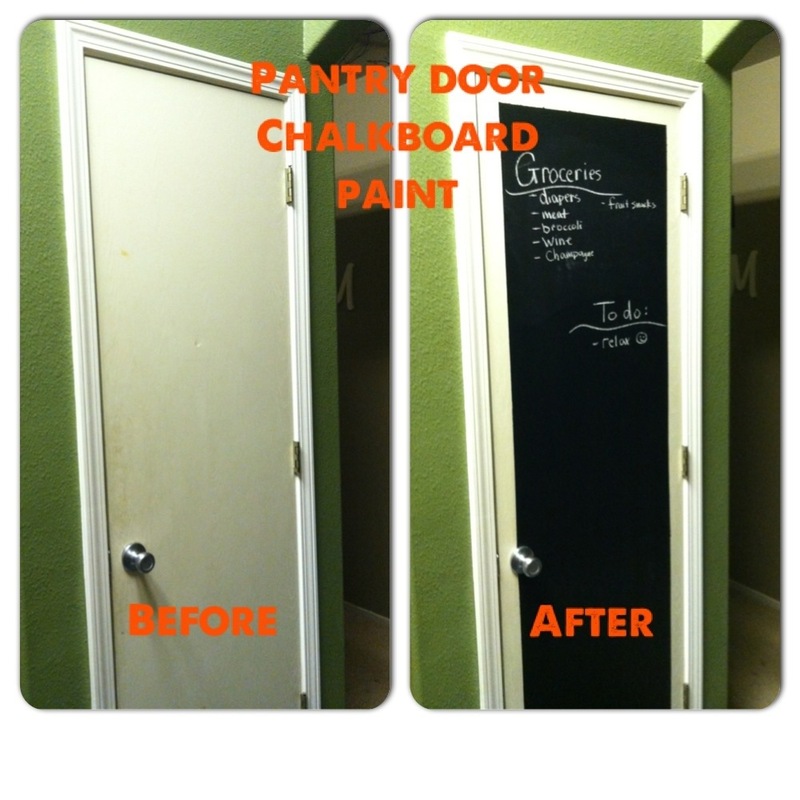 Chalkboard paint can give new life to many surfaces. As far as D.I.Y. projects go this was extremely easy and fast. 1. I prepped the door by cleaning it with a TSP wash, to degrease the door of my toddler’s sticky fingerprints and grime. 2. I used 2 inch painter’s tape and taped the outer edges of the door to create a border or frame for my chalkboard. 3. I used a foam paint roller and angled paint brush to paint the door. After the first coat dried, I felt the coverage wasn’t even, so I painted a second coat. 4. A few hours later, I removed the tape and my new fabulous and frugal chalkboard door was ready for to do’s, groceries, messages, and pictures. I am thinking of painting the 2 inch frame around the chalkboard . What do you think? How have you used chalkboard paint?